Develop and Deploy Your Customer Experience Intent Statement. The customer experience intent statement is a descriptive paragraph that outlines two things: The experience that your organization wants to deliver and the emotions that you want to elicit in your customers when they interact with you. 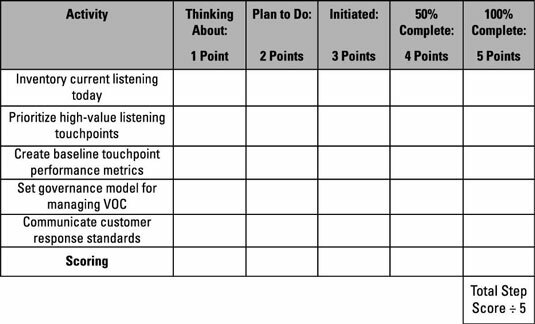 Use the figure to gauge your progress on developing and deploying your customer experience intent statement. A customer journey map visually represents all the different points of interaction between your organization and its customers. 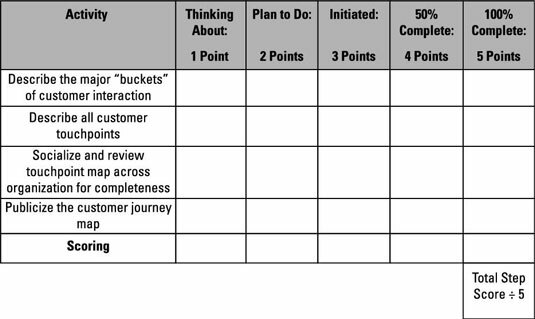 As you build your own customer journey maps, remember to think enterprise-wide, across all possible customer interactions. The figure contains key markers that you can use to track your efforts in this arena. 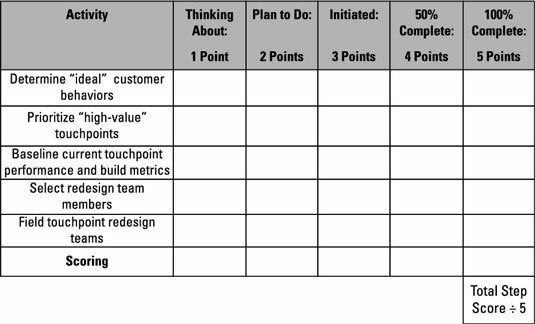 Redesigning a customer touchpoint is a four-week (20 workday) effort that involves brainstorming, proposing change, and, most importantly, executing that change. 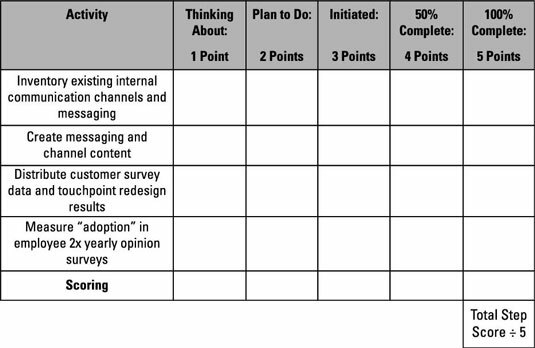 To keep your redesign efforts on track, use the questionnaire. Get feedback from customers and establish dialogue. Real-time customer feedback is available at all major customer touchpoints. In addition, current performance is attributable and visible for all customer-facing employees. To stay abreast of customer feedback, use the questionnaire. Build customer experience knowledge in the workforce. Employees who interact with customers on a regular basis must understand not only your organization’s customer experience intent, but also how to deliver that experience. That means ensuring they receive the right training. 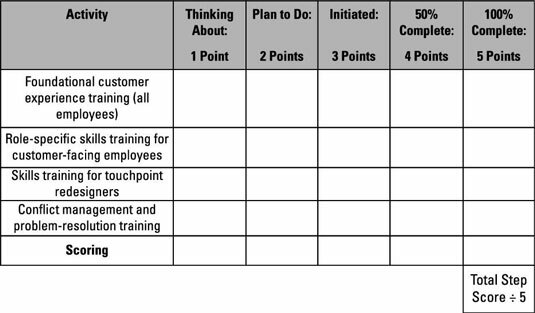 The questionnaire is designed to help you get a handle on what training has been delivered and what still needs to be done. Recognize and reward a job well done. Your compensation system informs your entire organization of what’s really important and what isn’t. Unless this system, as well as other rewards and recognition programs, support customer focus, your best efforts to make your culture customer-centric will ultimately fail. The same is true if individuals who make their numbers but ignore or injure customer experience are allowed to achieve success in your organization. 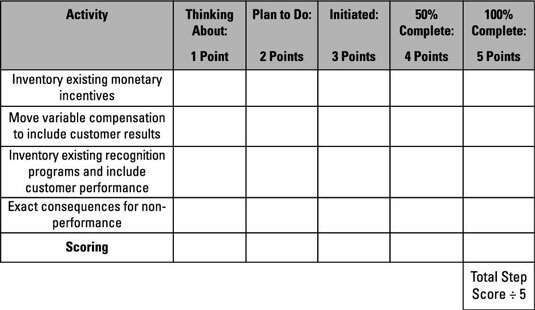 To assess the degree to which your compensation system and other rewards and recognition programs promote excellent customer experience, use the questionnaire. Execute an integrated internal communications plan. If organizational leaders rarely mention customer concerns, issues, or opportunities, all the best internal marketing will fall short of creating significant culture change. To help change the culture, you need a tightly focused communications plan. The figure outlines the key steps and enables you to track your progress on them. Build a customer performance dashboard. Feel-good customer initiatives are not the way to go. These must be replaced with laser-guided projects that feature clear and formal performance metrics and owned commitments. 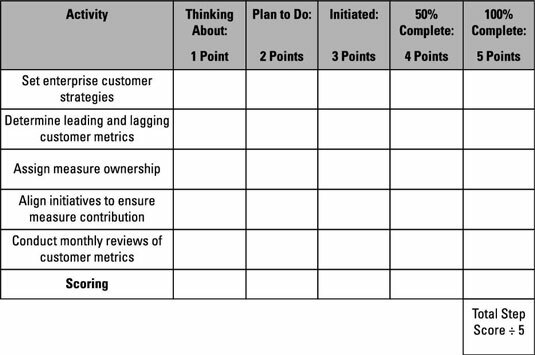 And of course, you must carefully track those metrics to drive accountability and improvement. To do so, you’ll want to build a customer performance dashboard. For help, refer to the questionnaire. 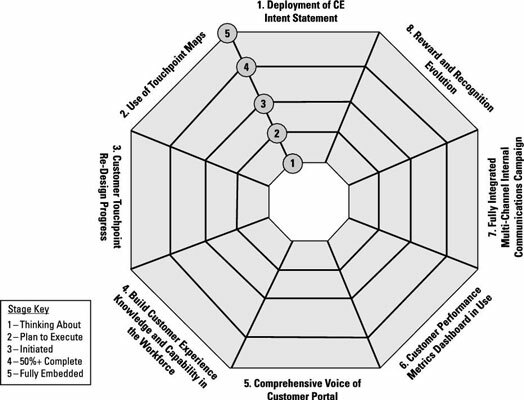 Each of the eight customer experience implementation steps appears around the edges of the diagram. 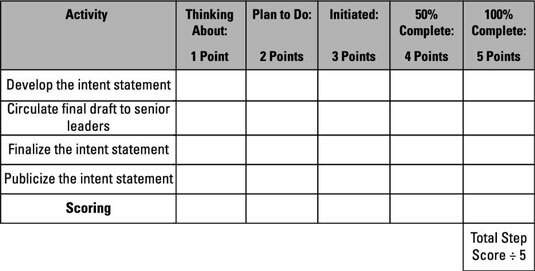 To utilize this customer experience progress tracking tool, transfer your step scores onto each ring of the diagram to see how you’re doing. Conduct this exercise every six months. You can overlay each line over the previous one to see your progress. The goal, of course, is to move every step to Ring 5.